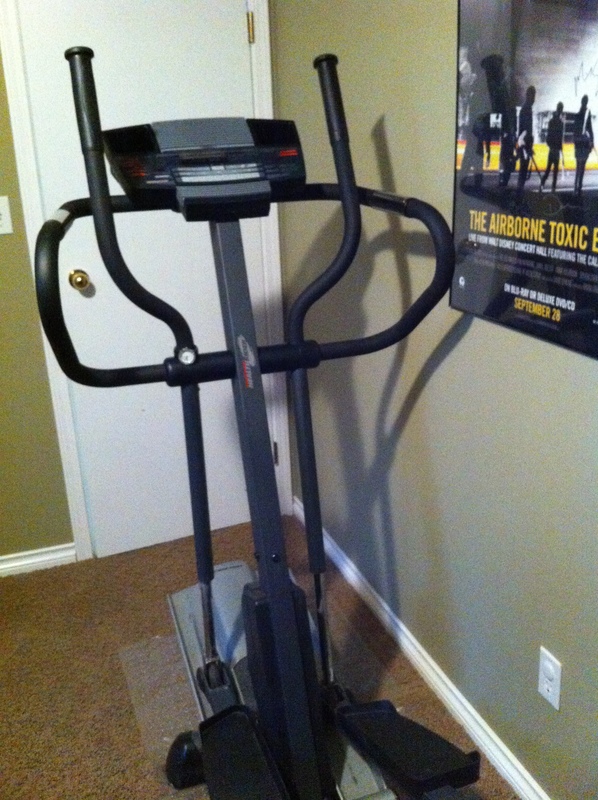 This year my husband bought me an exercise machine for my birthday. I wonder if the Craigslist sellers thought he was an enormous douche. I probably would’ve. What kind of birthday present is that for your wife? What message does it send? Likewise, when he bought me a steam mop for Christmas. He didn’t buy them because I’m fat and the house is dirty (insert self-deprecating remark about how this is nevertheless true, which he will edit out while getting after me for writing something absurd). This is why it is okay. Because he’s my biggest fan, whether I deserve it or not. Because he isn’t trying to change me or improve me. He’s only trying to make me happy – by giving me what I want. Believe it or not, I wanted both the elliptical and mop very badly. I researched them. I talked about them. I fantasized about all the ways they would make my life better: once I had them, an immaculate house and instant skinniness would no doubt ensue. I wondered out loud when we might be able to afford them. At the right moment, with the right intentions, it is a win. Encouraging. And helpful. And thoughtful. But it could so easily go wrong. Marriage is just as much about tact and and understanding and supportiveness as it is about honesty and pushing each other to be better. The best part isn’t a kitchen floor you could eat off of (and the littles often do). Or the 268 calories I burned while watching YouTube the other day (ameliorating my Halloween candy angst for about 10 minutes). It’s the fact that, occasionally, he listens when I talk. So here’s me, not necessarily WANTING to work out or do housework, but since I need to, I might as well do it in style! This entry was posted on Tuesday, November 13th, 2012 at 6:00 am	and tagged with birthday, context, exercise machine, gift, marriage, steam mop and posted in home-making, marriage. You can follow any responses to this entry through the RSS 2.0 feed. So funny! Definitely makes a very clear case. Sounds like my kind of bible prof!